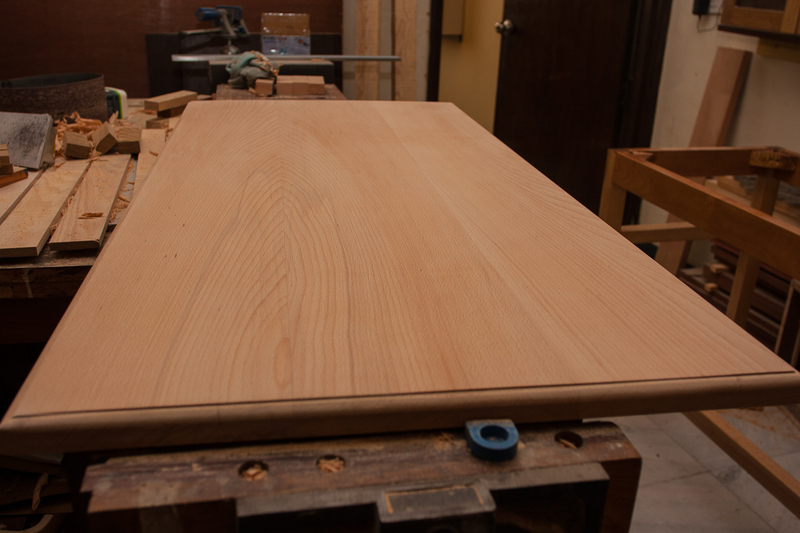 A table top requires a lot of work and it is always a shame if it is to crack or split a few years down the line. It is imperative that it is properly attached to the table base. It is always distressing to come across badly designed and improperly made wooden furniture in our large format department stores. Some of the wooden pieces look good and are priced well. But on close inspection an inordinately large number fail to make the grade. One common problem is the tendency to glue and screw on table tops. This is an absolute travesty because it does not allow for the seasonal movement of wood and invariably leads to a split top or crack over time. For professional furniture makers this kind of construction method is inexcusable - they ought to know better. 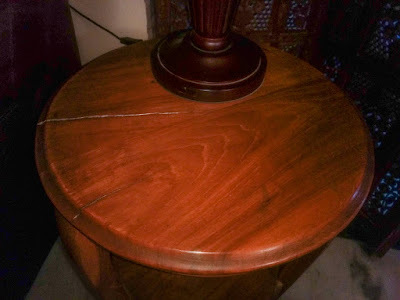 Table tops or anything else that has to be fixed to a base where the wood grain runs in the opposite direction should never be glued or fixed. This is one of the first rules of good construction. 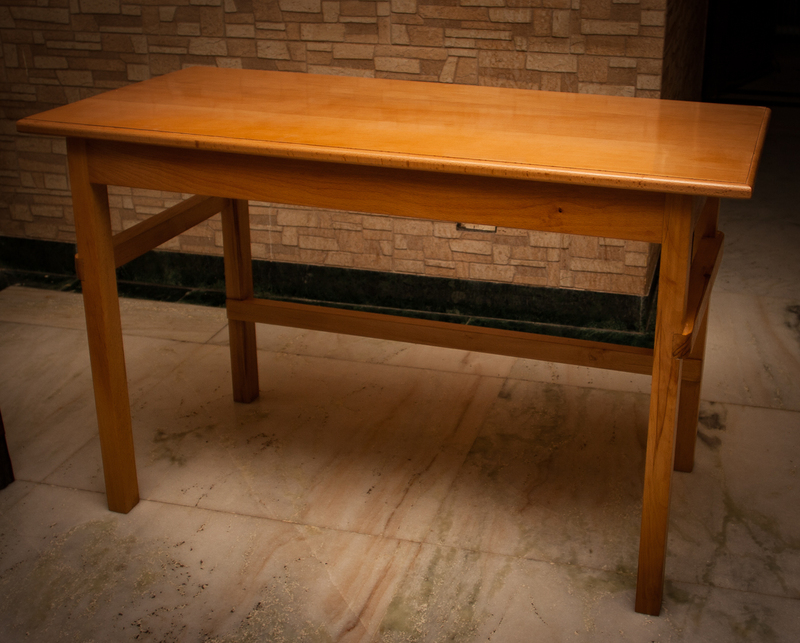 The table top should be attached to the base in a manner that will allow for the expansion and contraction of the wooden top. There are a number of ways to achieve this. My favourite method is the use of traditional wooden turn buttons. These are L-shaped pieces usually made of some species of hardwood which attach to the table top with screws and into a pocket or mortise in the skirt of the table base. The ends of the turn buttons are not inserted all the way into the mortise but done so in a manner that leaves a small gap for its expansion during periods of low humidity when the table top contracts. 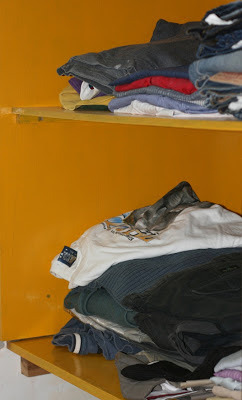 At the same time, the buttons should be sufficiently inside their pockets so that they do not come loose when the table top expands. I have found this to be a very sturdy method of fixing table tops and preventing warping of the top over time. At the same time, this method also allows for the seasonal movement of wood. Turn buttons are easy to make and one good way is the one described by the British master craftsman Paul Sellers in one his Youtube videos (it's a short 5 minutes video well worth watching). The pockets or mortises can be cut by hand or by a router (which I prefer as it is faster). 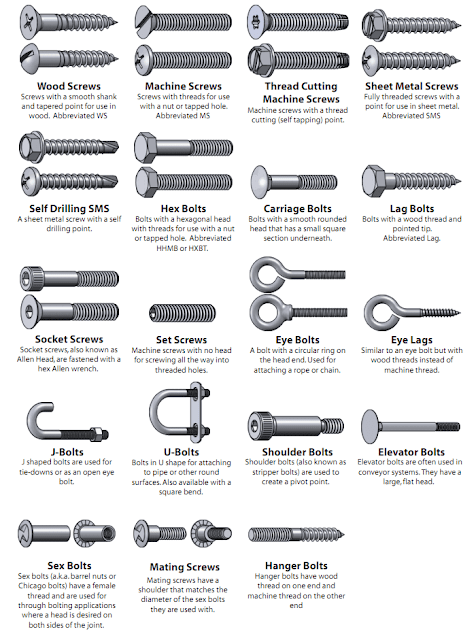 The other methods for attaching table tops include the use of metal fasteners: either z shaped ones that work very much like wooden turn buttons or figure-8 fasteners. These are easy and good options too but I am yet to find them in India and importing them doesn't make sense. At times, yet another simple expedient can be resorted to: elongated screw holes. Blocks or strips could be attached (glued or screwed on) to the insides of the stretchers or skirtings and elongated holes drilled for screws. The screw holes need not be elongated in the front but most certainly in the side and back skirtings to allow for wood movement. This too is a very effective method for fixing table tops. Whatever else, table tops should never be glued on. That's really shabby work. Good information for fixing a table top. The table looks really good, especially the top. Which species of wood is it?